A few months ago I posted my 10 favorite pitching windups. 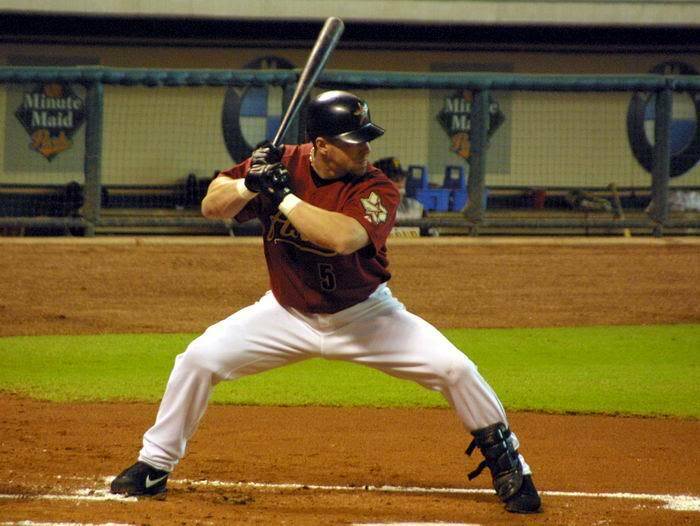 And, because I know you are wondering, here are my 10 favorite batting stances. 10) Paul O’Neill. I always thought he looked so stiff when hitting. 9) Chuck Knoblauch. Loose wrists. 8) Derek Jeter. The best thing about Jeter’s stance is what he does AFTER he swings. He just launches the bat behind him. 7) Kevin Youkilis. This is a real Facebook page. 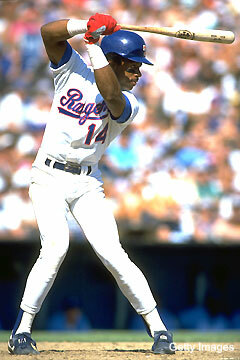 6) Julio Franco. The bat was parallel to the ground. 5) Ichiro Suzuki. He is running when he hits the ball. 4) Gary Sheffield. Waggle waggle waggle. 3) Jeff Bagwell. The strike zone was approximately 0.2 inches large. 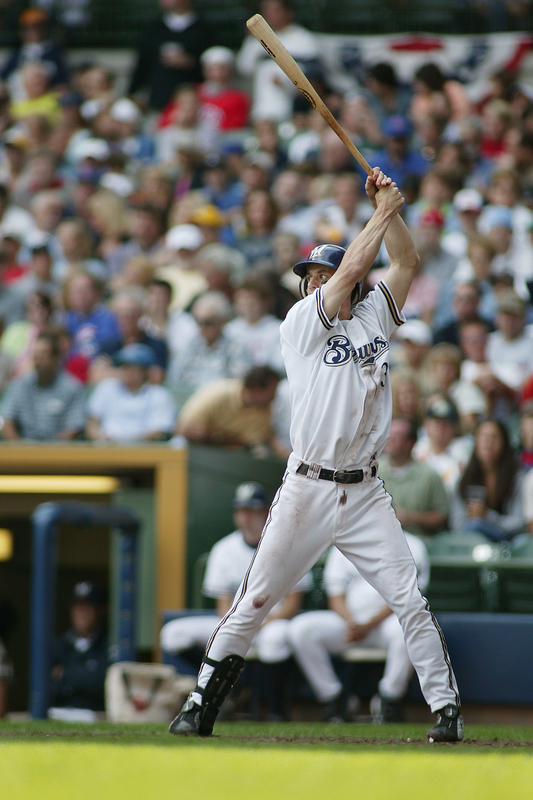 2) Craig Counsell. I mean, who hits like this? 1) Tony Batista. There was no one like Batista. Parentheses in song titles are an odd thing. Do you ever think about this ? You don’t? OK. Sometimes I am not sure how my mind works, but I feel compelled to write about this nonetheless. I am way, way, way too fascinated by parenthetical remarks in song titles. Take the Simple Minds song “Don’t You (Forget About Me).” To give you an idea how insane I think that title is, I got it completely wrong the first time. I thought the (Don’t You) part was in parenthesis. That made little sense. The way it actually is makes even less sense. I’ve always thought parenthetical songs carried a panache that other songs didn’t. There is a reckless courage about them. They have style. Here are 10 of my favorites. 1. We have short attention spans. 2. The original format of 78 rpm-speed phonograph records only allowed three to five minutes of music per side. And then there are songs that are barely even songs – they are more like interludes that somehow find their way onto an album. Today I’ll list my ten favorite that are shorter than 90 seconds. By the way, you’ll notice that Pink Floyd appears heavily on the list from yesterday and today, particularly songs from their 1977 album, Animals. That was one of the strangest albums ever made in terms of song length. Three songs were longer than ten minutes, and two were less than 90 seconds. And that’s the whole album. They were an unusual band. l’ve been working on three separate lists about quirky music stuff. They’ll appear here over the next three days. You should know by now that this is the place to come for meaningless lists. Today we start with my 10 favorite songs that are longer than 10 minutes (studio version only). There isn’t much to choose from here because, well, it’s very rare to see a song that’s longer than 10 minutes. It’s hard to pull this off if you haven’t established yourself. In no particular order, here is my list. And, hey, let’s get some participation on this thing. Did I miss anything? What is your top 10? Or top 3? Feel free to leave a comment below. In no particular order, here is a list of my 10 favorite songs that I have heard in the year 2014. Some of these weren’t released in 2014. These are just my favorite songs that I heard for the first time over the last 71 days.